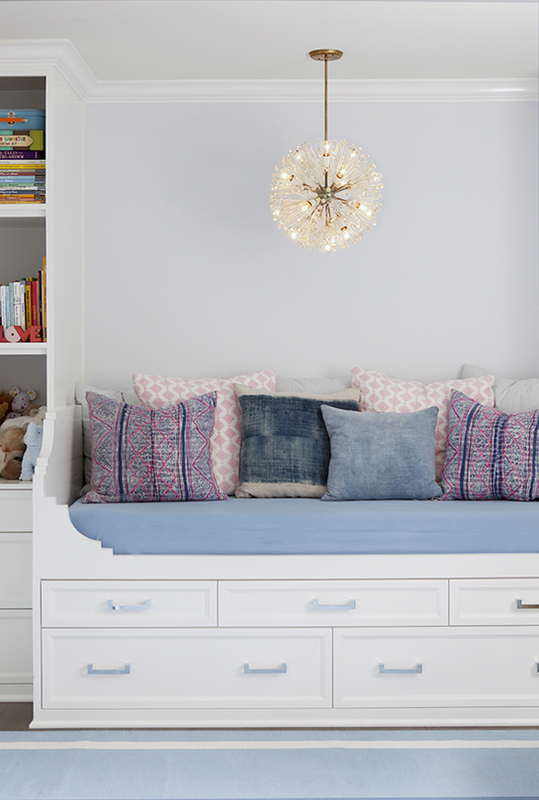 I'm dreaming of the nursery for little Baby Joy lately and can not wait to start putting a design plan together. 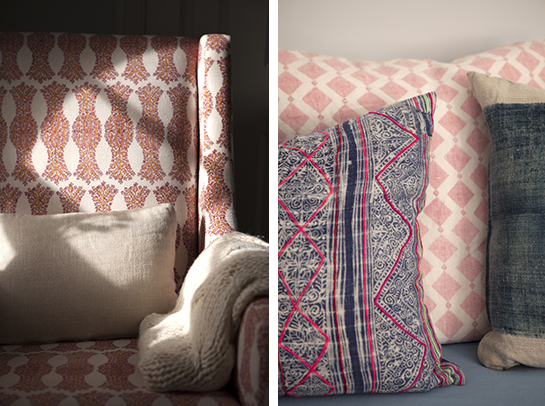 I'll be so fun to share this exciting project with you, so let's start looking at some inspiration photos, shall we? I have a vintage dresser from my childhood bedroom that I will certainly be painting in this fashion, the blue is perfect to make it boy friendly and the size is perfect for a changing table. Also need a pouf! This daybed is a great idea, though I don't know if it'll work for us. oh siiiiiiiiiigh! 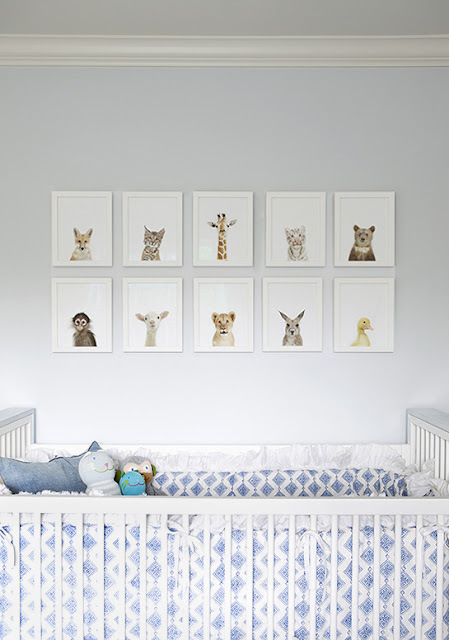 i LOVE this nursery too! super cute Liz! 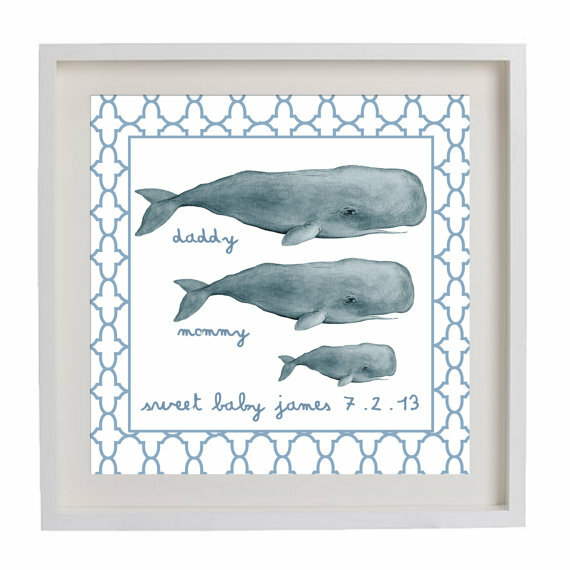 I especially love the whale print. how exciting to know you are having a boy! So sweet! I love your ideas and I am so thrilled that you are having a boy! I have two boys and they have made me prouder and happier than I could have imagined. They are the loves of my life! The whale print is adorable. I wish I had done some cute things like that for my kids. I did some hand and foot prints in clay but that is probably the extent of it. I wish Pinterest had been around 9 years ago because I would have had all kinds of crazy crafts and artwork all over the place! Enjoy this special time! 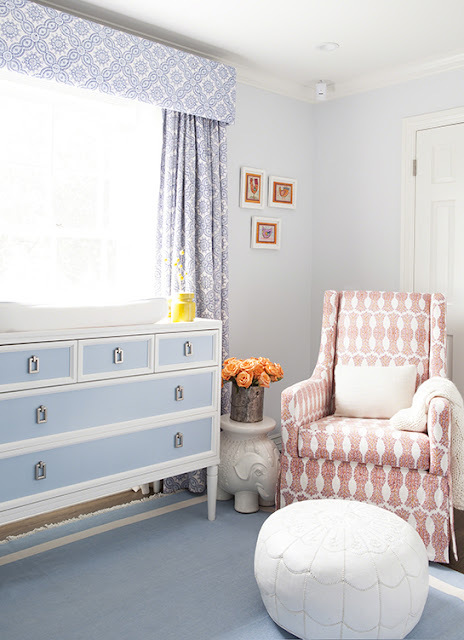 What a great nursery....love the fabrics. Your etsy print is adorable!!! All the preparations are such a big part of the anticipation. Enjoy every special moment!!! Liz, you have great taste! My girlfriend has a daybed in her nursery and said it's her favourite comfy spot to breastfeed. Just thought I'd let you know, because you mentioned you weren't sure if it would work for you (not sure if this was space-wise or for its usefulness). Looking forward to hearing about your progress!